Viking. Hardcover. 0670836702 Signs of wear on the spine . Good. 1993-01-01. First Printing. Viking, 1993. Hardcover. Very Good. Disclaimer:A copy that has been read, but remains in excellent condition. Pages are intact and are not marred by notes or highlighting, but may contain a neat previous owner name. The spine remains undamaged. At ThriftBooks, our motto is: Read More, Spend Less.Dust jacket quality is not guaranteed. Viking, 1993. Hardcover. Good. Disclaimer:A copy that has been read, but remains in clean condition. All pages are intact, and the cover is intact. The spine may show signs of wear. Pages can include limited notes and highlighting, and the copy can include previous owner inscriptions. At ThriftBooks, our motto is: Read More, Spend Less.Dust jacket quality is not guaranteed. Viking, 1993-01-01. First Printing. Hardcover. Good. Viking Press, 1993 672pp. 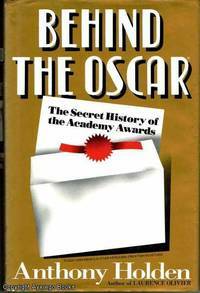 The story of the Academy Awards and how they grew. Viking. Hardcover. 0670836702 Like New Condition. . Fine. Viking Press, New York, 1993. First Printing. Hardcover. Fine Condition/Very Good. Size: Octavo (standard book size). 671 pp. Text is free of previous owner's markings. Binding is tight, spine fully intact. No foxing in this copy. General shelf wear to dust jacket with slight creasing along edges, no other damage. Dust Jacket un-clipped. Edges neat, intact, and free of foxing, but a bit dusty. Last page corner glued to back cover publishers mistake. Multiple copies available this title. Quantity Available: 1. Shipped Weight: 1-2 kilos. 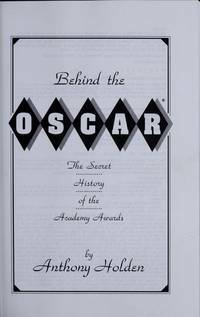 Category: Film, Radio & Television; United States; Modern; #21906; ISBN: 0670836702. ISBN/EAN: 9780670836703. Pictures of this item not already displayed here available upon request. Inventory No: 32211. . 9780670836703 This book is extra heavy, and may involve extra shipping charges to some countries. Viking. Hardcover. 0670836702 New Condition. . New.